Jon: Do you mind? I'm using social media, and it's stressing me out! 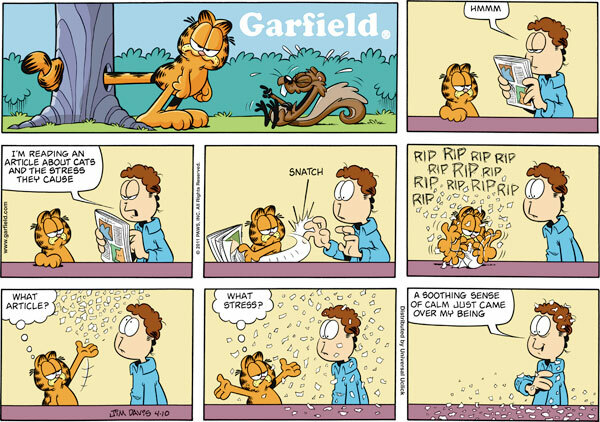 Garfield: What social media? What stress? I made this immediately after deleting my Facebook, Twitter, and Tumblr accounts. And man, does it feel good to not constantly check out those sites!